Members of the Surf Life Saving movement are more than just members of a club – they are part of their communities, guardians of their beaches, and guardians of the lives of those that wish to enjoy a day at one of our beautiful beaches. They are the young, and the young at heart, club legends and club secretaries, athletes and administrators. The Surf Life Saving WA Awards of Excellence recognise and celebrate the achievements and contributions of our members in WA throughout the season, across a wide range of categories. The winners of a selection of the award categories go on to represent Western Australia at the Surf Life Saving Australia Awards of Excellence in Sydney later in the year. 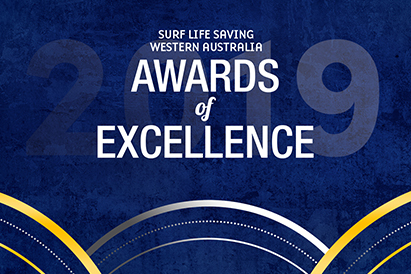 To book tickets to the 2019 Surf Life Saving WA Awards of Excellence, select ticket type below. Learn more about the award winners for the 2018 Western Australian Awards of Excellence below. In his first year as President of Smiths Beach Surf Life Saving Club, Keith has been instrumental in implementing a strategic focus on the club’s development. Keith’s passion for building the club across Surf Life Saving’s four pillars has lead to strong relationships and engagement with local schools, businesses and councillors, as well as a culture of continuous development within the club. For many years, Swanbourne Nedlands Surf Life Saving Club did things differently and became known as a club that chartered its own course. One thing that Swanny has never lacked is spirit and a core group of dedicated members. 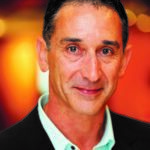 In recent times, under the leadership of President John Garnet and his team, Swanny has introduced a strategic focus at the club and thereby harnessed this spirit to improve Club Governance and the delivery of the four primary pillars of Surf Life Saving at an operational level; Education, Member Development, Surf Sports and our primary purpose for being, Lifesaving. Sandy has had a twenty-year association with Surf Life Saving and this past season has seen her involved in just about every aspect of the movement. She is an all-rounder, with roles as Mullaloo SLSC’s Manager Communications, member of the Social Committee and Honours Committee, a leader at the club’s youth camp and a Surf Boat Sweep and Coach, as well as State-level roles as a Team Manager of the Western Suns Pool Rescue Team, Trainer, Assessor and Official for Surf Life Saving WA. As an official, Sandy has given up her spare time to ensure the smooth running of surf sports carnivals both in Western Australia and at a national level, officiating across a host of surf sports disciplines. 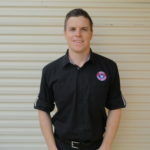 Liam has used his 18 years of experience in the surf lifesaving movement to make a tremendous impact at club level during the past season. Through his role as Patrol Captain, he has been a strong leader and mentor to his fellow clubbies, encouraging members to upskill wherever possible. Andrew has played an invaluable role in the coordination of lifesaving abalone patrols during the 2017/18 season. These patrols were involved in a multitude of preventative actions; saving the lives of many abalone fishermen. Since joining up as a nipper at Scarboro in 2010, Angus has not looked back. During the 2017/18 season, Angus performed over volunteer 100 patrol hours. On top of his dedication to keeping our beaches safe through physical patrols, he has also worked to adopt new technology to continuously improve safety at our beaches. Angus has started his journey as a future leader within his club and the movement, taking on board the role of Lifesaving Officer at Scarboro this year. Denmark SLSC has had an outstanding 12 months where they have seen incredible membership growth particularly in the junior area. They have worked hard to engage with a wide range of community stakeholders and groups. Mark is a dedicated lifesaver and volunteer, with a vast and diverse background in assessment and education that has lead him to taking out the Assessor of the Year title in 2011, 2015 and now 2018. The 2018 SunSmart WA Senior Surf Life Saving Championships saw Jade Mickle take out top honours in four big events. In the Open Female Ironwoman, Jade battled it out with Trigg Island’s Macarah Mallis to secure the gold medal placing, before going on to secure three more top of podium finishes in the Open Female Board Race, Surf Race and Ski Race. This is Jackson’s fourth Open Athlete of the Year title, and one that is incredibly well deserved. Jackson entered the Aussies history books this year, becoming the first runner in over 50 years to win a fourth Australian title in the Open Beach Sprint. He is a consistent performer on the beach, taking gold and silver in the Open Beach Flags and Open Beach Sprint respectively at the this year’s SunSmart WA Surf Life Saving Championships. As a representative at a Club, State, National and International level, Jackson continually displays his incredible work ethic, determination, and willingness to cheer on his fellow teammates. Jake Smith has been the competitor to beat in the discipline of Pool Rescue, taking out five Aussies gold medals, a silver and a bronze, as well as seven State gold medals during the 2017/18 season. Jenny is the back-to-back SLSWA Coach of the Year thanks to her tireless efforts in both coaching and mentoring athletes in her ‘beachies’ squad. This year, Jenny’s athletes placed in every event they were entered into at the SunSmart WA Surf Life Saving Championships! At the recent Australian titles, Jenny’s Sorrento beachies won 17 medals on the track across Masters, Seniors and Youth divisions. Ros is the ‘face of Floreat SLSC’ for the many people who use and visit the Club or are involved with it in some way. Having been involved in the Club since 2008 after her family moved from South Africa to Perth, Ros has been an invaluable member of Floreat. When Domenic moved to Australia in 2012, he hit the beach running and hasn’t stopped, taking on trainees across many surf life saving courses to ensure the best skills possible are displayed on our beaches. Over the past season Domenic guided and trained surf life saving volunteers through their Surf Rescue Certificates, Bronze Medallions, Radio Operator Certificates, Skills Maintenance Checks, Cadet Training and various other courses, and also improved training resources for members. Samantha was appointed a Patrol Captain this season becoming the youngest female in club history to obtain this role. She is a qualified trainer who assisted in training seven new Surf Rescue Certificates and 27 new Bronze holders during the 2017/18 season. This Trigg Island dream team not only took out first place at the 2018 SunSmart WA Surf Life Saving Championships – they also backed it up with a sliver medal at the 2018 Aussies held at Scarborough Beach. The last time a club outside of Queensland or New South Wales came this close to taking the Taplin Relay prize was a Scarboro team, including the great Ken Vidler, 40 years ago! Kate is an emerging member of the Westpac Lifesaver Rescue Helicopter crew, undertaking 38 patrols this season, the second highest number of patrols amongst her volunteer counterparts – all in her first year as part of the team! Mullaloo Surf Life Saving Club had a strong focus on with member development and community education. The club continued to extend beyond their normal patrol duties with ongoing delivery and improvement to their dedicated Abalone Patrol.